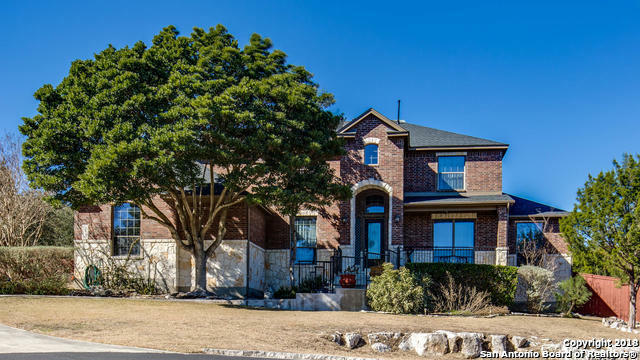 All cavalo creek estates homes currently listed for sale in San Antonio as of 04/23/2019 are shown below. You can change the search criteria at any time by pressing the 'Change Search' button below. "This is country feel living in the convenience of the city with exemplary schools making it a perfect place to call home. Over 4200 sq feet in a gated family friendly neighborhood, a 5K allowance to use for home personalizations or costs at closing, and with too many upgrades to name them all including a new roof and upstair central AC in 2017. *** 1 of the Owners of this Property is the Listings Licensed Realtor. Bring all offers." "Great Floorplan in gated NC area w/excellent schools. Only one BR w/bath upstairs . Master BR is split and has luxury spa bath w/ his & hers toilets, double vanities and dual shower heads. Kitchen has double ovens, gas cooking and is open to the breakfast & family rooms. There are his and hers studies! 1200 sq.ft covered patio with fireplace, ceiling fans & outdoor kitchen. Party room off the patio w/full bar, 2 ductless A/C units & half bath. Two sheds w/elec. Extensive Landscaping w/irriga"